Japan Airlines (JAL), Asia's biggest airline group, serves over 280 airports in 45 countries and territories worldwide. The JAL group network covers 363 international passenger routes, and 128 domestic routes, the largest domestic route network in Japan. Book nowBook now with Japan AirlinesOpens an external website in a new tab. Emirates Skywards members can earn and spend Miles on flights across Japan Airlines network, including JAL domestic flights. Please remember to check blackout dates, travel pairs and conditions before making your arrangements. Please give your Emirates Skywards membership number when booking. Take AdvantageTake advantage of the offers from Japan AirlinesOpens an external website in a new tab. The following booking classes are not eligible to earn Miles in Economy Class flights between Dubai and Japan: D, X, I, H, K, M, L, V, S, Q, N, O, G and R.
* The following booking classes are not eligible to earn Miles in Economy Class flights between Dubai and Japan: D, X, I, H, K, M, L, V, S, Q, N, O, G and R.
For Japan domestic flight sectors included in international tickets, including Yokoso Japan Airpass and Welcome to Japan Fares, miles will be credited as outlined in the following table regardless of the accumulation level described in the Domestic flights table: 1 Mile per mile flown in Economy Class, 1.1 Miles per mile flown in Business Class and 1.5 Miles in First Class. * For Japan domestic flight sectors included in international tickets, including Yokoso Japan Airpass and Welcome to Japan Fares, miles will be credited as outlined in the following table regardless of the accumulation level described in the Domestic flights table: 1 Mile per mile flown in Economy Class, 1.1 Miles per mile flown in Business Class and 1.5 Miles in First Class. ** Miles earned on domestic flights are dependent on fare type. The Miles specified in the below table pertain to return reward flights. Emirates Skywards Members are eligible to earn Miles on all Japan Airlines operated International and domestic flights with a JL code. Japan Airline affiliate flights on Japan Transocean Air, JAL Express and J-Air are eligible to earn Miles. Infant fares are not eligible to earn Miles for domestic and international travel. Members will earn Skywards Miles only on Emirates and Japan Airlines codeshare flights operated by Japan Airlines. Please quote your Emirates Skywards membership number while making your reservation. Please note that membership number registration at the Japan Airlines check-in counter on Japan Airlines domestic flights is not accepted. If you have not mentioned your membership number before your flight, you may request post-flight credit by sending your original boarding passes (there are no tickets issued for Japan Airlines domestic flights) along with your Emirates Skywards membership number to Emirates Skywards. Miles cannot be earned on Group Inclusive Tours (GIT) / Inclusive Individual Fares (IIT), rewards flights, or on any free ticket promotions. Miles cannot be earned on any industry or agency discount tickets, charter flight or special provision tickets. 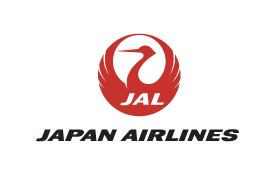 Reward tickets are not valid on codeshare flights operated by any other carrier other than Japan Airlines and Japan Airline affiliate flights on Japan Transocean Air, JAL Express and J-Air. The same number of Miles is required for a reward ticket, whether for an adult, child or infant who will occupy a seat. Miles stated are for direct flights only. During Peak Periods reward flight availability is limited as determined by Japan Airlines. Please visit the Japan Airlines website to find out more about blackout dates for international flights(opens external site in a new tab). International Rewards allow one stopover, in addition to the final destination, at the connecting city. A connection of 24 hours or more will be considered a stopover. Involuntary stopovers, including connections, will not count against the total number of eligible stopovers allowed. International reward tickets in Business Class and First Class that have a domestic sector either to or from Japan will be booked as an Economy Class reward ticket for the domestic sector. For journeys that originate outside Japan (where Japan is not the final destination), but include stopovers in Japan, a maximum of two stopover locations in Japan will be permitted for the entire round-trip journey. When Japan is the destination on a journey that originates outside Japan, in addition to the final point of destination in Japan, one other stopover point in Japan will be allowed. For journeys that originate in Japan, stopovers in Japan will not be allowed. However, transfers (changing of plane within 24 hours) will be permitted. Only two Japan domestic sectors may be included in the entire journey of international rewards. Where no direct service is operated, two or more reward tickets may be required. Infants occupying a seat will need an airline ticket that is either a adult mileage reward ticket or an infant-fare ticket. Infants not occupying a seat need to be younger than 3 years old and must have a non-revenue ticket when sharing a seat with their parent. Each domestic sector for reward travel shall be reserved no earlier than 09:30 (Japan Time) and two months prior to the departure date of the flights as per Japanese local regulations. Open tickets are not allowed. Routing restrictions: Any two sectors can be included in one reward ticket provided the same sector in the same direction of travel is not used twice. All reward flight sectors must be on direct flight. All flights must be confirmed at the time of booking the reward ticket. Waitlists or reward ticket name changes are not permitted. Japan Airlines domestic reward tickets are valid only for the flight and date originally reserved. Failure to travel on the reserved flight and date will result in the forfeiture of the reward ticket. Date changes to reward tickets are allowed four days before the departure date. Reward tickets for Japan Airlines domestic routes are valid for 90 days starting from the day after the issue of the reward ticket.